On rare occasions, at-home pregnancy tests can produce a mistaken result—here's why it could happen. At-home pregnancy tests are pretty damn accurate. If you get a positive result, you can almost certainly assume you are pregnant, at which point you should visit your doctor to confirm the news, and then you can spend the next nine or so months cooking your human child. But on some rare, and we mean very rare occasions, your test might display a false result. This could either be in the form of a "false positive"—a test that says you're pregnant when you don't actually have a viable pregnancy, or it could be in the form of a "false negative"—a negative result when you are, in fact, pregnant. "Pregnancy tests expire, which can result in a false-negative test. Heat or moisture can cause damage to the test window on a pregnancy test, and this can also result in inaccurate results. If you want to buy a pregnancy test, go to the pharmacy so you can guarantee it's within date." 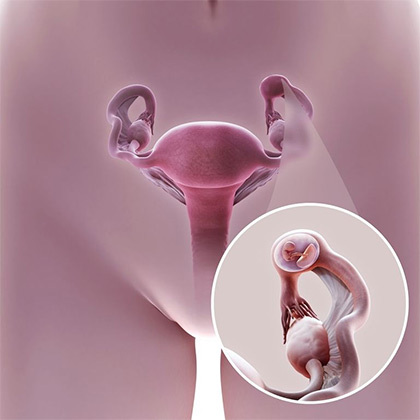 "HCG (or if you want to get technical, human chorionic gonadotrophin) is a hormone released by the placenta after the embryo has been implanted into the womb. This hormone can be detected in the woman’s urine or blood even before a missed period. But if you've been going through fertility treatment, like IVF for example, and you are given fertility medication, this can cause a false positive reading on a pregnancy test. 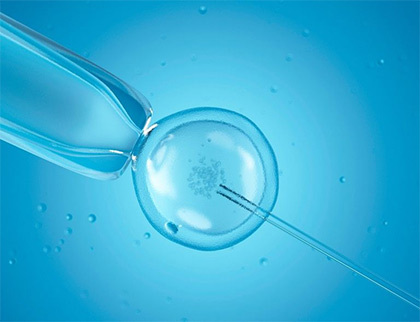 Fertility treatments are hormones which may mimic or even contain HCG, which is why this may happen." "If you have had a recent miscarriage, the HCG level can stay in your bloodstream for a number of days. This can result in a false-positive test result." "Some medications can alter the level of HCG in the blood. 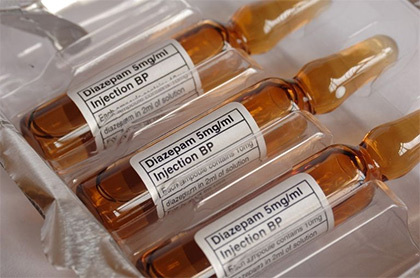 These include benzodiazepines taken for anxiety (diazepam, alprazolam), diuretics taken for excess water retention (furosemide) and even antihistamines such as promethazine. These medications could theoretically lead to a false positive result if a woman has experienced either a chemical pregnancy (more on that below) or a miscarriage, both of which would leave a small, undetectable level of HCG in the woman's bloodstream. The medication could increase this level slightly, bringing it into a detectable range, hence the possibility of a false positive result emerging from the test." "This is where a sperm and an egg meet but the fertilized egg—known as an embryo—is unable to implant in the womb. This can still cause a rise in HCG levels despite there being no viable pregnancy. For some woman, this false-positive result can be emotionally draining. It's why it's always recommended you wait a week or so after you miss your period to take a pregnancy test." "An ectopic pregnancy can result in a positive reading on a pregnancy test, and this does indeed mean you are pregnant. Sadly, though, this pregnancy is not in the right place. The fetus is most likely in one of your fallopian tubes (the tubes that carry the egg to the womb) and this is a medical emergency. If you have a positive test result at home and start experiencing abdominal pain, bleeding, or are feeling unwell, it's vital you see a doctor as soon as possible." You've left the test sitting too long before looking. "You've urinated on the stick, and are now eagerly awaiting. You might want to take your mind off the nervous wait, but don't wander off and forget; leaving the test 'cooking' for too long can give a false-positive result. The reason for this is due to the urine evaporating if left for too long; it can leave a faint line which can be mistaken as a positive test. It's recommended to not read a pregnancy test after the recommended time frame (10 minutes) as most brands have a possibility of evaporation lines." Urinary tract infection or kidney disease may result in a contaminated sample (with red or white blood cells in your urine), which may result in a false positive result. It does depend on the method used by individual brands but in general, any impurity or even blood can cause a false reading. Ovarian cysts/cancer or disorders of the pituitary gland (in the brain) can either produce HCG leading to a false result or produce hormones mimicking HCG, once again leading to a false positive. These cancers often produce small amounts of the hormone, but home pregnancy tests can be sensitive enough to pick this up." Dr. Preethi was keen to reiterate that "home pregnancy tests have advanced considerably in the technology they use and, with rigorous testing, have increased in accuracy over the years." But she does suggest that if you want to make sure you've got the absolute best chance of accuracy, do the test in the morning. "Catching your first urine of the day ensures HCG levels are at their highest," she said.